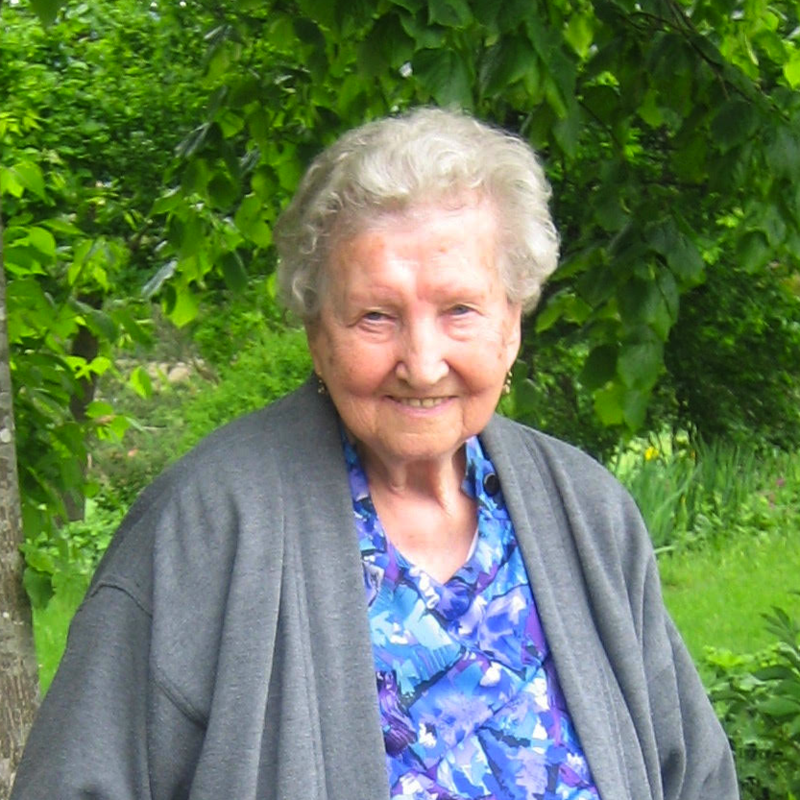 Susanne Kovacs, nee Werner, passed away quietly at the age of 92 Saturday night at Good Samaritan Hospital in Downers Grove, IL, surrounded by family and listening to her favorite recordings of German Music by Hansi Hinterseer and Semino Rossi. She was at Good Samaritan, under the care of a dedicated,generous and professional staff after collapsing three days earlier at her daughter’s home in Westmont, where she had lived the last six years of her life. 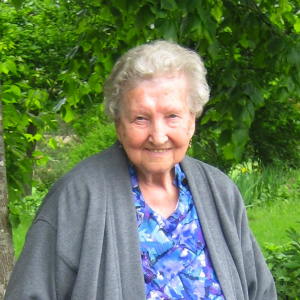 When talking about Susi, a friend said “when she walks into a room, it is like a ray of sunshine.” Born in Gakowa, Yugoslavia in the Danube Valley on October 23, 1924, Susi was of German descent and part of the Danube Swabians (Danauschwaben), a culture that had migrated from Germany in the 1700s. Along with her brother Peter, sister Ana, her mother Maria and father Franz, she lived an idyllic, though hard working pre-war life. People from her home town who knew her described her as outgoing and assertive … and a bit of a mischief-maker (a trait she never lost). That idyllic life changed when World War II broke out and the family found themselves in the middle of opposing forces. Susi lived through danger, disease and loss and the destruction of the family’s way of life. She survived typhus, air raids, loss of her fiancée, the death of a 6-month old child, the loss of two other children, incarceration in a concentration camp, forced labor, beatings, starvation and witnessing the systematic slaughter of thousands of her culture. Yet she and her family persisted. Ultimately escaping the camps, they fled first to Hungary, then over the border to Austria, living in Villach where Susi married and her daughter Brigitte was born. In 1956, seeing the activity of the Soviets in nearby Hungary, the family decided it was time to emigrate to the safety of the United States. In January of 1957, Susi, Johann and Brigitte, accompanied by Susi’s mother Maria and stepfather Karl set sail on the ship General Langfitt. Susi, Johann and Brigitte emigrated to Chicago, where they were being sponsored by the Catholic Church and Maria and Karl to Detroit where they were being sponsored by a kind and loving family. Susi’s brother, Peter, had emigrated to Ontario, Canada earlier. Ultimately, Susi and Johann would divorce, and later she married Charles Kovacs, a Hungarian who had fled during the Hungarian revolution in 1956. In Chicago, Susi found work sewing shoes in a Florsheim Factory, and later worked for Bodine Electric, winding stators for electric motors until her retirement in 1986. In 1985, the beginning collapse of the communist regime in Hungary, and the eventual withdrawal of the Soviets, paved the way for a safe return. Susi and Charlie decided to retire to Charlie’s home town of Sarvar, Hungary, where his family lived. Moving to Sarvar, they lived in a small house tending to their garden and enjoying the nearby company of Charlie’s two daughters and three nieces and their families until Charlie passed away in 2009. In 2010 Susi returned to the U.S., and moved in with her daughter and family in Westmont, IL. Susi lived a full life characterized by love and faith in the face of the hate and nihilism she witnessed during and after World War II. Having witnessed atrocities and depredation, and herself having been a victim of cruelty and abuse, she still retained a faith in people and her God. The stories of Susi’s life, when taken as a whole, make it a wonder that one person could have been through so much and remain so positive, and live so long. Susie was preceded in death by her mother Maria Popp (nee Schlott), her father Franz Werner, her step-father Karl Popp, her sister Ana in Germany and an infant daughter. She is survived by her brother Peter Werner of Leamington, Ontario, in the United States, a daughter Brigitte Slaker and her husband Bob of Westmont, a grandson Adam Slaker, a granddaughter Lydia Slaker, step-granddaughters Aubrey Faith-Slaker and April Faith-Slaker; in Hungary, two step-daughters and their families. In Sweden, she is survived by three half-siblings. Those of us who knew her are better for having known her. She will be sorely missed, and never forgotten. There will be a private memorial at a later date; burial will be in Sarvar, Hungary.